I spotted the new cover art for this fall's Haruki Murakami novel over the weekend while browsing Amazon. 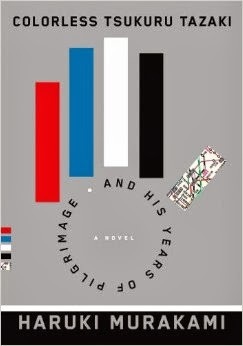 Colorless Tsukuru Tazaki and his Years of Pilgrimage will be released in the US this August, translated by Philip Gabriel. Could this be another cover from Chip Kidd?